A High Powered Mist Maker For Outdoor Use. Add Fog To Fountains And Ponds. Stuff Points: Earn 116 points when you buy this stuff. A mist maker that is safe for outdoor use. This powerful fogger features five misting points, and can completely cover an area of up to five feet. Mist will float out further than that, but the thickest humidity will be present within this range. It comes complete with a compatible transformer that is safe to use outside, and the floating ring to keep it at the perfect depth. Float one in the middle of a pond to add ambiance, add one to a fountain to make it way more fun to look at or add one to a greenhouse to pump added humidity for healthier plants. It can be used in virtually any body of water, and will begin to make mist as soon as it is added. It does not work by magic or added chemicals, and is actually evaporating the water to create a natural cloud of mist. The water will remain cool as it operates so it will not effect any critters in the surrounding habitat, and is totally safe for fish. Certain living things around your pond will even benefit from the added humidity and more dynamic surroundings. A long cord ensures for easy placement, and because every part is included with this package, you will be up and running in a matter of minutes. There are three basic parts. 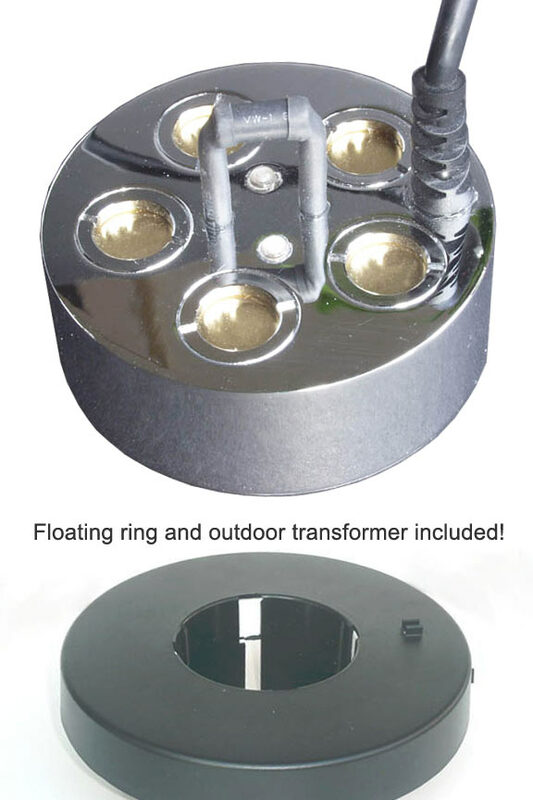 Ensure that you have the metal mister, flotation ring and transformer ready. Plug in the transformer to a standard outlet, but leave disconnected from mister. The extra long cord should provide enough length for most applications, but you can also add an outdoor extension if necessary. You can use the mister without the flotation device, but when inside, it will remain at the correct depth. To combine with ring, simply set it inside the inner circle. A clip on either side will help to position the cord where you want it. If close enough, place the ring and mister into the water and then plug into the transformer. If this is not possible, connect the two cords and then set into the water. When floating it will move around, but you can also anchor in place to keep it in a centralized location. Once the cords are connected, and the mist maker is introduced to the water, it will begin working immediately. Thick fog will emerge from the unit continuously until you turn it off, or run out of water. A sensor on the top will stop production when not enough water is present. Use inside or outsdie, but be aware that due to high powered output, some splashing can occur. Backyard water features are great, but if you want to kick it up a notch, one of these foggers is the ultimate accessory. High powered output will transform regular water into a mysterious habitat of endless wonder. There are no lights on this unit, so it maintains a very natural look. It is great to enhance existing water fountains, or add interest to a ordinary body of water, but it can also be useful for less conventional stuff like humidifying plants, amphibians and reptiles, or creating the ultimate decoration at Halloween time. High quality materials and construction ensure proper function for many years, and the multiple head unit allows for tons of mist with a single power source. Create a dry ice look on the surface of the water with this safe and effective ultrasonic mister. It is incredibly easy to set up, and will provide a unique look that is well worth the cost. Order Yours Today! Floating Ring Included Yes - Perfect compliment to keep mister at perfect depth. Call for a lower price if you don't need it. LED Lights No - Non lighted mist maker. Cord Length transformer - 6 ft. mister - 32 ft.
A Powerful Pond Fogger With 5 Mist Makers - Add to any water to create thick clouds of mist. Perfect for ponds, creeks, fountains, greenhouses, Halloween decorations and more. Do you ship to Canada and what would the charge be to this postal code J1A2M4? We do ship to Canada. To see the exact cost prior to checkout, simply add one to the cart and then use the shipping calculator there. Input general location info and you will see all available methods and their rates. 1 of 1 Customer(s) found this Answer helpful. Can I get just the transducer not transformer or anything else that comes with it? Sorry, but no. We are not able to order the two main parts separately, so we are not able to sell them that way either. We could offer a bit of a discount without the floating ring, but you would have to order the mister and AC adapter set. Please give us a call if you are interested in something like this. 0 of 0 Customer(s) found this Answer helpful. An Ultrasonic Mist Maker and Fogger. Wavy Edge Replacement Bowl For Your Mist Fountain. Replacement Part for your Mist Fountain. 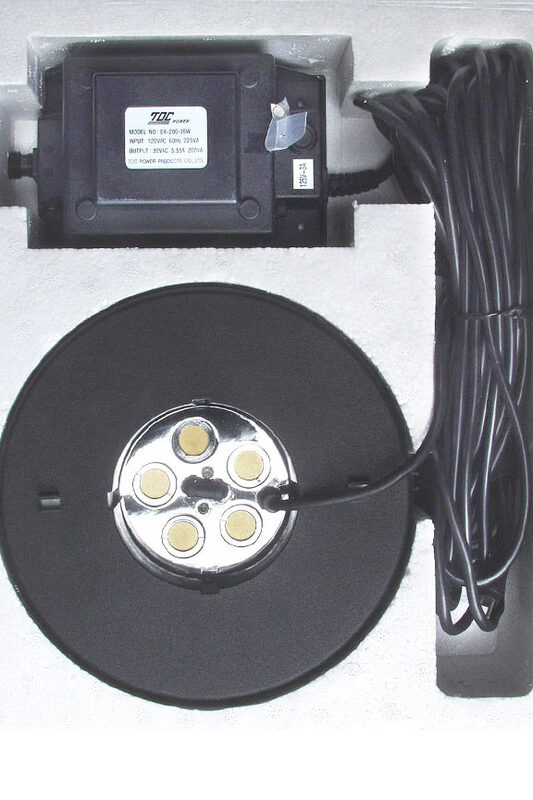 Replacement Ceramic Disc for your Misting Fountain. An Ultrasonic Mister and Pond Fogger. Enhance Any Outdoor Water Feature. An Elongated Strip With Colorful LED Lights. Add Mist To Ponds And Waterfalls. Complete With Water Pump, Mist Maker, And Lighted Rolling Ball. 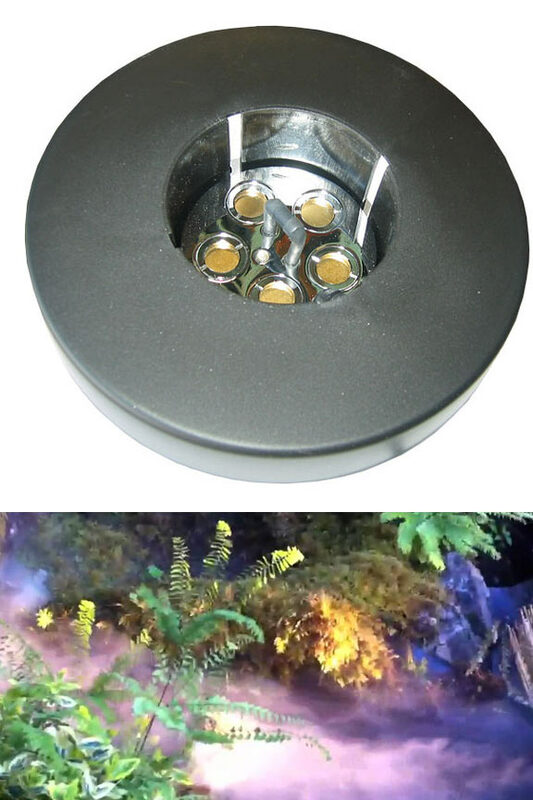 A red, underwater LED and powerful ultrasonic mister in a compact package.